30 x 800mg Veg. Caps. This is a special formulation for the puritans encapsulated on its pure form without any additives of any kind, containing Pure Glucosamine Sulphate 400mg and Pure Marine Chondroitin 400mg. Each Vegetable capsule contains 800mg of 100% pure ingredients. Chondroitin Sulphate was first described in 1854 by Fisher and Boedker. It forms part of the natural occurring proteoglycans (PG) which are usually constituted by a protein core convalently linked to large linera heteropolysaccharide chaines (GAG). 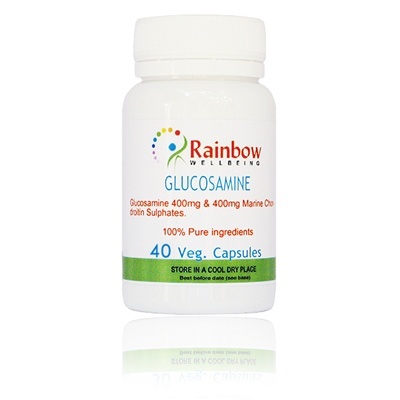 The basic units are formed by N-acetyl-galatosamine and glucuronic acid. There are two main types of Chondroitin Sulphate structures, which depend on the position of the sulphate group in the based unit galactosamine: CSA (in the 4 position) and CSC (in the 6 position), while CSA is in higher presence in mammal cartilage, CSC is highly presented in fish cartilage. The naturally occurring Chondroitin Sulphate has a molecular weight of 50000 to 100000 Da. After the extraction process, its molecular weight is of 8000 to 40000 Da, depending on the raw material. CS is widely distributed, in animal tissues where it is found in high concentrations, its main function is to attract water, maintaining and controlling osmotic pressure in the cartilage. CS has anti-inflammatory activity, reducing pain and increasing articular mobility by means of several mechanisms including a phospholipase A2, prostaglandins and oxide nitric decreasing activity. Slows the cartilage breakdown by protecting it from destructive enzymes. The production of chondroitin sulphates in the body decreases with age, and studies have shown that this reduction results in degeneration of joints (osteoarthritis) and thickening of artery walls. 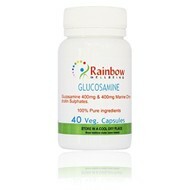 Each vegetable capsules contains of 400mg Pure Glucosamine Sulphate and 400mg Pure Marine Chondroitin. No other ingredient or additive of any kind. Take 1-2 vegetable capsules a day with food.